What if I didn’t? I could just keep pedalling. Work it out. Throw caution to the wind. A Gore-tex bivvy bag is more comfortable than my bed; a lightweight gas stove is better than an Aga. Waking to the sun warming your face at dawn is better than a drilling iPhone alarm screaming at you and yet every day I choose what increasingly feels like the wrong path. Choked by life, freedom becomes brief stolen time that can only be bought by money. The tighter the noose the further from living I feel. How did this ever become my reality? So many things we will never see or feel because we are trapped in the norm, confined by life’s invisible wall, like an unsuspecting goldfish in a bowl. Out on the Tour Divide I felt so alive. Waking in the morning (at 4am) I’d shake like a leaf from the cold. I’d glance over at Lee and she’d be shaking too. We’d shake in silence together. Our usually dexterity had left us and we fumbled around in the dark, packing our feathers away and climbing into our damp cycling gear. My cuticles had split and were bleeding, my nails black and chipped. My lips stung as I brushed my teeth. Our morning routines bore a vague resemblance to our normal lives, yet I felt I was in another world. 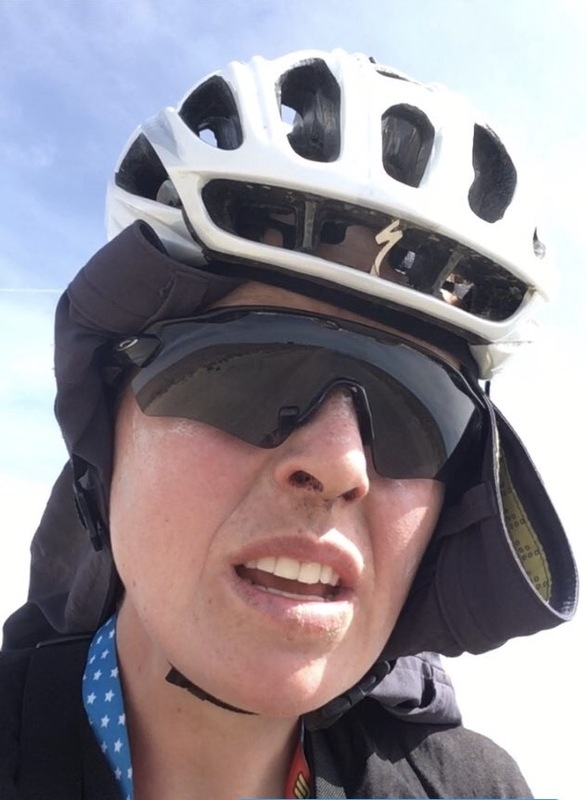 The challenge of the Tour Divide was a thrill. Each day a puzzle with efficiency being the key. Trying to find a way to function when you’re deeply exhausted after 20 days of riding hard is almost funny. After a long bout of work I feel drained but the Divide pushed my body really deep. I never worry about my lack of motivation – I know my head can drive me hard into all sorts of holes: black dark places. My head will drive me flat out into them and that can break the body. I remember standing in the toilet in a dive of a restaurant in Lima and experiencing a mild panic as I realised I was bleeding from a cut in an oh-so-inconvenient place. I didn’t care about the pain or the mess. All I knew was that an infection would slow me down. I announced my predicament to Lee over our meal and was met with a gasp before a united laugh. I promptly marched over to the petrol station and returned to the loo where I performed some magic, washed my shorts in the sink, put them back on (yes, wet) and got the hell on with the rest of the night ride – which incidentally was so magnificent it distracted me from my fanny pain. All these moments of hardship were countered by pure joy. The trees are the clock of the seasons and in Montana I was greeted with a vast sea of them, as far as I could see, for four days solid. That’s millions of glorious trees. I'd never seen anything like it. Burnt into my memory is the sunrise in the Gila wilderness. Here nature rules. The landscape so new to me, it's silhouette illuminated by a palate of pinks orchestrated by the big glowing white orb in the sky – then I had only to turn my head and the moon had checkmated the sun. You'd think such a moment could not get better, but the warmth from the sun would then start to heat up the surrounding plants and a soft aroma began whispering through the air. It was almost unreal and in that moment, it felt magical. But because of life getting in the way, how many times will I miss these moments? I had time out there to soak it in. I was fully aware, in tune with living instead of trying to swim upstream. Being wild is my favourite feeling and out there I didn’t have to conform any more. I could fart, burp, lie in dirt and not wash and I loved it. It’s like eating worms as a child – you’re told it’s bad and that you’re not supposed to do it, but no one ever died from eating worms! 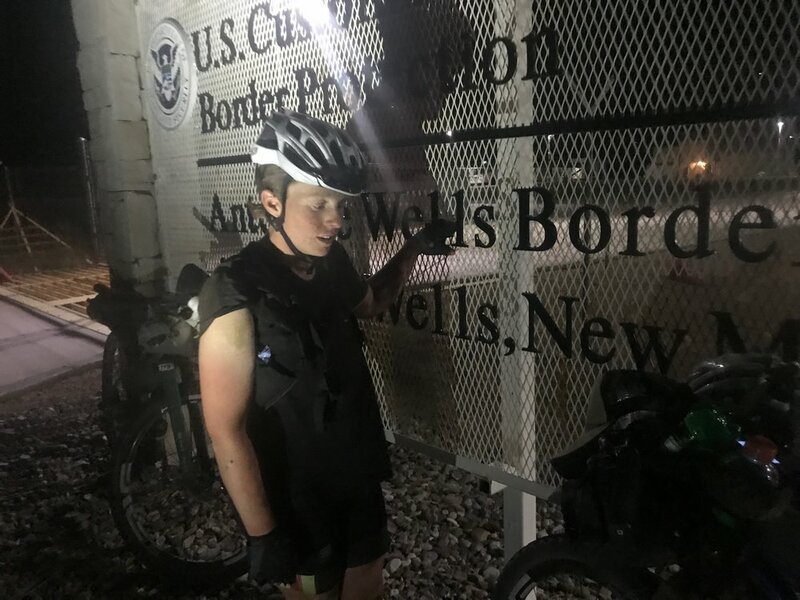 Coming back from the Tour Divide has been particularly hard. The simplicity of it was blissful. It’s not usually this hard and I’m still working out why in my head. I can’t settle. I just can’t settle for this life. There must be more – I must believe there is more. What I see now I’m back home are souls struggling with what they are ‘meant to be’. I don’t have the answers; my journey is incomplete, still evolving. But one day we will all be gone and the question will remain: what is the purpose of life?